Square Enix and n-Space are prepping up an epic 3DS exclusive for 2012. Square Enix officially announced that they have partnered with n-Space for a new 3DS game called Heroes of Ruin, set to be released in 2012. The game was revealed by n-Space earlier this week. 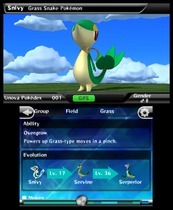 One of the first apps available at the eShop launch will let users view more than 150 Pokémon in 3D. Pokédex 3D, featuring all of the new Pokémon from the recent Pokémon Black and White games, will allow users to look up information about more than 150 Pokémon and their moves, all free of charge. It will make use of SpotPass and Augmented Reality. The classic NES Excitebike is heading to the eShop with 3D graphics and the ability to save dozens of self-created tracks. When the eShop launches on the 3DS on June 6, gamers will be able to download Excitebike, the first 3D Classic, free of charge for a limited time. The enhanced NES port will feature two racing modes. You have the choice of racing alone to get the best time, or facing a slew of rival bikers and catching lots of air while trying to get first place. Nintendo will be attending the major gaming convention. 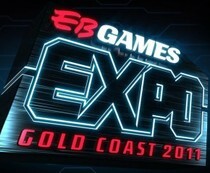 EB Games Australia will be hosting a major gaming convention on the Gold Coast this year on October 15 and 16, the company announced. Publishers such as Nintendo, EA, Disney Interactive, Square-Enix, Bandai Namco, Sega, Sony, and Microsoft are just a few of the attending exhibitors. Tickets for the event go on sale on June 2. The price drop is accompanied by new red DS cases for Mario titles. The MSRP for the Nintendo DS Lite will be lowered to $99, starting June 5, 2011, despite previous rumors that the DS Lite had been discontinued entirely. Dr. House investigates the side-effects of fast racing and adventuring on islands in this week's crop of games. This week marks the release of several notable games across Nintendo's download game services, with an F-Zero-inspired racer and a Hudson SNES title. For WiiWare, Shin'en Multimedia's FAST-Racing League, an F-Zero-like futuristic racing game set in the year 2112, debuts. It features fast racing for up to four players in multiplayer mode. Players can feed their need for speed at only 1,000 Wii Points ($10). If you're around New York City, Nintendo World Store might be heaven for day one of E3 2011. Nintendo World Store in New York City will play host to an all-day event to celebrate the first day of E3 2011. Starting at 11 a.m. on June 7, Nintendo and StreetPass NYC will host an event featuring tournaments, E3 bingo, and AR cake. They will also showcase the Nintendo Press Conference, which begins at 12 p.m. EST, on a large screen. Art on n-Space's Facebook page teases an upcoming game. n-Space revealed art from an upcoming 3DS collaboration with Square Enix called Heroes of Ruin. The title was initially trademarked in April 2011, and is the first of several 3DS game reveals n-Space has up their sleeve. n-Space, best known for their work with Nintendo on Geist, has recently worked on Call of Duty and GoldenEye for DS. They also developed the Tron Evolution games for Wii and DS. Giant AR card reward for Australians. Club Nintendo Australia has once again updated their rewards catalogue. 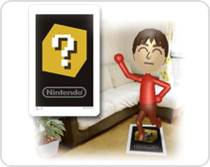 This time, the update is for a giant AR card for the Nintendo 3DS. The card measures 73 cm by 46 cm. It can be used for any of the functions that the smaller version that came with the system is capable of. The reverse of the card features the mario image that the system allows you to use in the star pics mode. The card costs 750 stars. Video gaming's most popular defense attorney will hit Japanese screens next year. A movie based on the Ace Attorney franchise is in production for Japanese cinemas, Capcom announced today. Actor Hiroki Narimiya will be playing the role of Phoenix Wright, Takumi Saito will play the role of Miles Edgeworth, Phoenix's prosecutor rival, and Mirei Kiritani will be playing the role of Maya Fey. No other characters from the series or actors have been announced. The eight million-strong gaming community site is adding a news feed that gives you the news you want. Raptr, the gaming community site that began in 2007, is launching a social news feed to complements its other slate of gaming community interaction today. A new multiplayer action-adventure game is slated for release on multiple consoles this fall. Disney Interactive has officially announced Disney Universe, a new action-adventure game coming to Wii this fall. Looks like we'll be seeing Professor Layton and the Last Specter at E3 2011. Professor Layton and the Last Specter has been trademarked by Level-5 in North America, according to Siliconera. The fourth Layton game is a prequel that tells the story of Layton and Luke's first meeting. 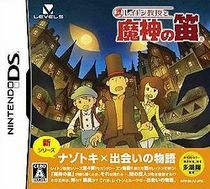 Originally released in 2009 in Japan under the name Professor Layton and the Specter's Flute, it also features a lengthy post-game RPG developed by Mother 3 developers Brownie Brown. Developed by Griptonite Games, Shinobi will also make use of StreetPass. Shinobi is making his return on 3DS this September, Sega confirmed following a reveal on the cover of next month's Nintendo Power. A prequel starring Jiro Musashi, the father of series star Joe Musashi, the game, simply titled Shinobi, will feature side-scrolling gameplay reminiscent of the original games. In addition, Shinobi will support StreetPass and offer a plethora of achievements and challenges. Australia hops on the bonus bandwagon with the titular instrument. 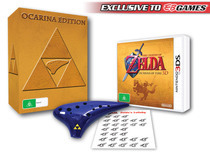 Australian adventurers raring to snap up their copies of The Legend of Zelda: Ocarina of Time 3D, will have the option to grab a limited Ocarina Edition when they purchase from EB Games. The special edition will come with a plastic ocarina featuring a Triforce logo and two song sheets, detailing how to play several Zelda songs, including Zelda's Lullaby. The blue hedgehog will be rolling through green hills on the 3DS and a Shinobi game is very likely on its way. Update: The Nintendo Power article on Shinobi confirms that the new entry in the series is for 3DS. 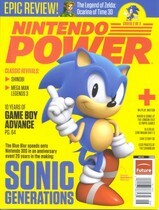 Sonic Generations is definitely coming to 3DS, and a Shinobi revival is also on the way to a Nintendo system, the upcoming issue of Nintendo Power confirms. Check out this album if you want to help out with the earthquake relief effort. 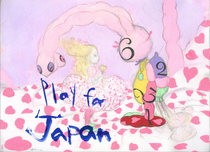 New details have been revealed regarding the Play For Japan charity album, including a full tracklist. The album will feature a song from Nintendo composer Koji Kondo: Super Mario Medley on Two Pianos. The album will also feature a song from legendary Final Fantasy composer Nobuo Umeatsu titled "Every New Morning." Questing puzzles and wacky science antics are the highlights of this week's update. This week four new games are available for download; three for DSiWare and one for WiiWare. The first DSiWare game is Puzzle Quest: Challenge of the Warlords from 1st Playable Productions. In the puzzle game, players must match gems and cast spells to defeat an assortment of dastardly creatures. 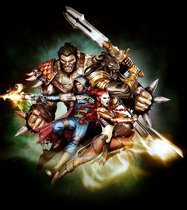 There are over 150 quests to complete and online multiplayer. The title can be downloaded for 800 DSi Points ($8). Wii Sports is out and Mario Kart is in. Starting June 2 2011, the Wii in Australia and New Zealand will be receiving a price drop and will include a copy of Mario Kart Wii. The new prices for the system in Australia and New Zealand will be AU $199.95 and NZ 282.87. Wii Sports will no longer be included with the Wii console, and will now be sold separately for AU $29.95 and NZ 42.34. 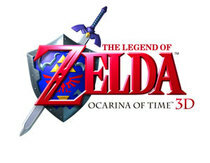 The Legend of Zelda Ocarina of Time 3D will be arriving in Australia and New Zealand on June 30th, 2011.